People are joining different social media sites every second of every day. Today, almost seven out of every ten Americans use at least one social media platform – and this number is growing. While many platforms are successful, one continues to reign supreme: Facebook. This channel is consistently the most popular, with 79% of internet users active on the site. With a percentage like that, it’s highly likely that a majority of your business’ audience is on Facebook. So, your business should be, too. But having a Facebook presence simply isn’t enough anymore. If you want users to actually see your content and be aware of your brand, you need to advertise. If the sheer number of active users does not convince you to pay for Facebook ads, keep reading to find out why you should invest in them. As of this writing, Facebook had 2.01 billion monthly active users. These users spend an average of 35 minutes a day on Facebook, or one year and seven months over a lifetime. That is a lot of people spending a lot of time scrolling through their news feeds – which are filled largely with ads. Organic Facebook posts are almost dead. According to a recent study, Facebook’s organic reach is only 6%. If you want consumers to find your business, you need to advertise. The good news is that Facebook advertising is relatively inexpensive. Compared to other social channels, you can reach a large audience on Facebook with a small budget. Plus, you can set a daily or lifetime budget to ensure you do not exceed the amount you’ve set aside to spend. You can decide the audience you want your ad to reach. Facebook lets you target by location, age, gender, interests, behavior, and connections. These targeting abilities include a recent purchase behavior, life events, lookalike audiences, and more. Plus, you can layer the targeting to reach your ideal customer. Facebook advertising helps increase your organic reach. If a user engages with your ad, their friends may see their action, which is then counted as organic reach. If the original user had not seen and engaged with your ad, the next person most likely would not have seen the ad either. 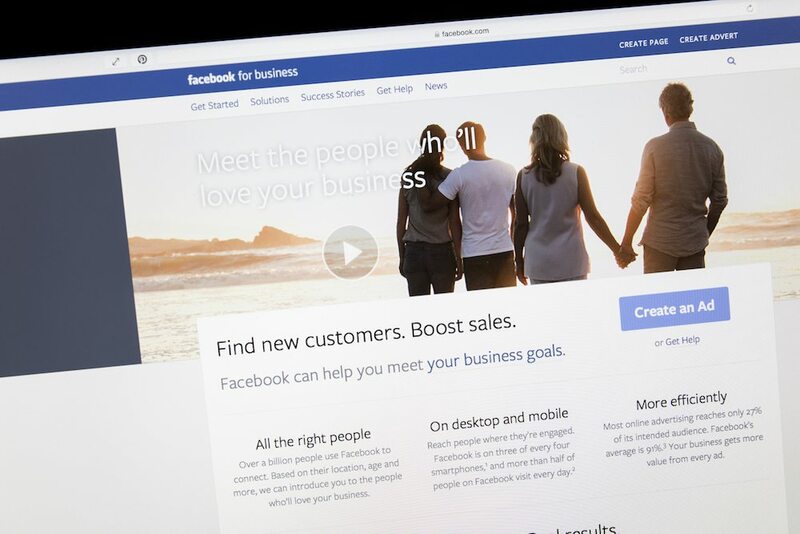 Facebook offers a variety of ad types so that you can customize your ad for your business’ goals. You can use a video, photo, or Instant Article ad. Plus, you can set the objective of your ad. This includes gaining new followers, building awareness, increasing event responses, and more. The choices are yours, and the options are (almost) endless.